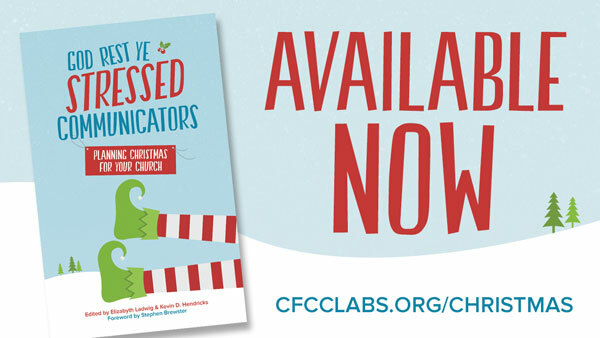 Our new Christmas book—God Rest Ye Stressed Communicators: Planning Christmas for Your Church—is now available. Grab your copy today. In celebration we held a Christmas Contest asking what your church does at Christmas. What makes Christmas special at your church? We got some great answers. We couldn’t share all of them, but there’s a taste of what different churches do at Christmas. Check it out for ideas for your own church. Certainly not every idea will fit well—some churches are more into candles while for others it’s glow sticks. But there are still a lot of creative and inspiring ideas. What makes Christmas special at your church? Rapping camels, soup supper, keeping it simple and more examples. Learn more about God Rest Ye Stressed Communicators: Planning Christmas for Your Church. For more help with Christmas planning, check out 30 Days of Christmas Planning. Our church marketing elves have put together a list (and checked it twice) of Christmas ideas. Check it out for examples, motivation and insights on Christmas.